Cheap Summer Vacations are a must for many families. The thing is, you don’t have to sacrifice fun or luxury to stay within your budget! Check out our Tips for Cheap Summer Vacations that will leave your family thrilled and be feeling like you managed a true luxury vacation! This post contains affiliate links for Amazon. I may earn a commission on purchases made via these links. There are a few things you can do to save money on summer travel. This is one of the peak seasons for travel and the costs can really add up. That doesn’t mean you have to take out a loan to afford an amazing travel experience. 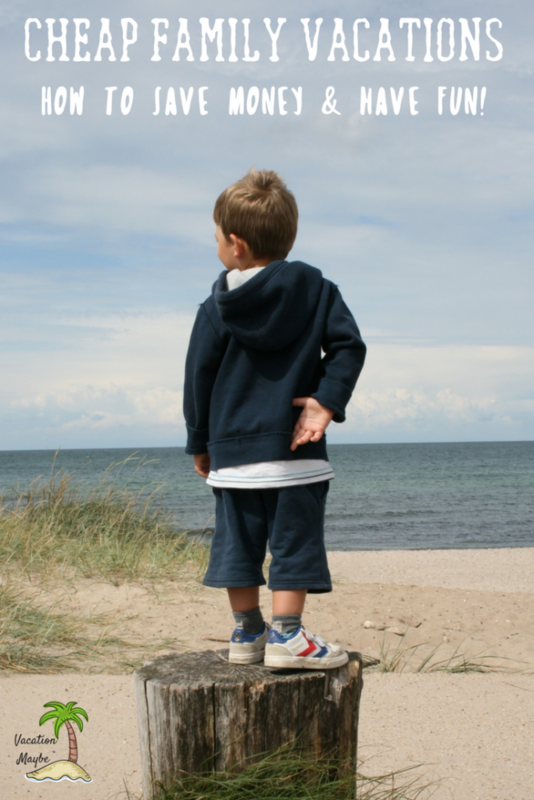 Check out our top tips for cheap summer vacations the entire family will love. We travel to the Smoky Mountains, Tennessee several times each year and one thing we’ve learned is that last minute bookings can save you a ton of money. Especially if you are renting a cabin. Booking the day before or day of your planned vacation you can sometimes save as much as 50% off your stay. Many cabin rentals will also offer flash sales each month with the requirement that you book on a specific weekday and not the weekend. A 2-night stay in a Deluxe cabin may cost $300 with taxes and fees included versus $600 for the same length of stay. Many motels and hotels offer the same last minute deals and discounts so always call ahead to make your reservation. Sometimes, last minute travel ideas are the way to go! This is also the way to go for last minute flights. Of course, this may change your end destination, but many times a last minute ticket can be at the lowest price if a flight is underbooked. Renting a house or cabin can actually save you money in the long run. Many cabin rental facilities offer discounts and free nights for multi-night bookings so if you rent for 3 nights, you may receive the 4th night free or at a substantially discounted rate. You can take your own food, saving you money by not eating out and most have laundry rooms so you can pack less and do a quick load of laundry if needed. We rent cabins with hot tubs so the dryers get used a lot to dry our swimsuits and towels! Recently, the Airbnb program has become a popular choice. This allows you to rent a single room, the entire floor of a home, or the home itself. Depending on the area you are traveling to, this may also be a popular and good choice. Another way we save money is by going as a group. This is one of my favorite travel tips too. My husband has a very large family so each year, we plan a trip for upwards of 20 – 25 people. Each couple splits the cost of the cabin, food, and attractions. We can usually rent a large, amenity-filled cabin for a fraction of what it would cost to go alone and stay in a smaller one. This is also a great way to make sure your cheap summer vacations are loaded with playmates for your kids. Having friends or cousins along will take some of the pressure off your budget. You’ll be able to have fun with the beach, pool, or game night instead of spending so much at amusement parks or other entertainment. If you do plan on staying in a hotel, choose one with a kitchenette and pack your own food. Eating out tends to really eat into your budget for vacation. The cost, especially if you are a large family adds up when eating out multiple times over a vacation period. By taking and preparing your own food you can save by buying food with coupons and fixing it yourself. If you have Amazon Prime, I recommend taking advantage of a Prime Pantry box being delivered to your destination. This is especially handy if you are flying. You can have affordable snacks, and even toiletries shipped directly to your house, condo, or hotel and pick up when you arrive. This will save a lot on your food. Gas is another high-cost item these days when it comes to traveling by car. Many places like Kroger and Walmart offer savings cards when you purchase their gas, saving you anywhere from 3 cents to 15 cents per gallon. Shell also offers a Fuel Rewards Network where you can use your debit or credits card on specific Shell items and at participating restaurants and grocery stores and earn points off your gas purchase. Take the time to check out the places between your home and destination for the best options for fuel rewards. This may include places like grocery store chains, or regional fuel centers. Planning ahead for gas fill ups can save a lot of money on longer trips. Another gas savings tool is to use the GasBuddy app on your phone. It will give you the lowest cost in the area you are at any given time. Remember to check though in some regions the prices are slightly different when paying cash versus via credit card. If you plan on taking in some attractions when you travel, be sure to check out Groupon and Living Social for special pricing. You can also book great deals on all inclusive travel in various regions using these programs. Just sign up for their email notices and watch for great deals to come to your inbox! Staycations are excellent options for cheap summer vacations. Checking out the attractions in your own state or region leaves you able to save a lot of money on gas, but also on lodging. If you travel within 2-4 hours of your home, you can easily do day trips to various landmarks, entertainment, and destinations while still making the trip home every night. This saves a ton of money on food, gas, and especially the lodging that costs the most when traveling. 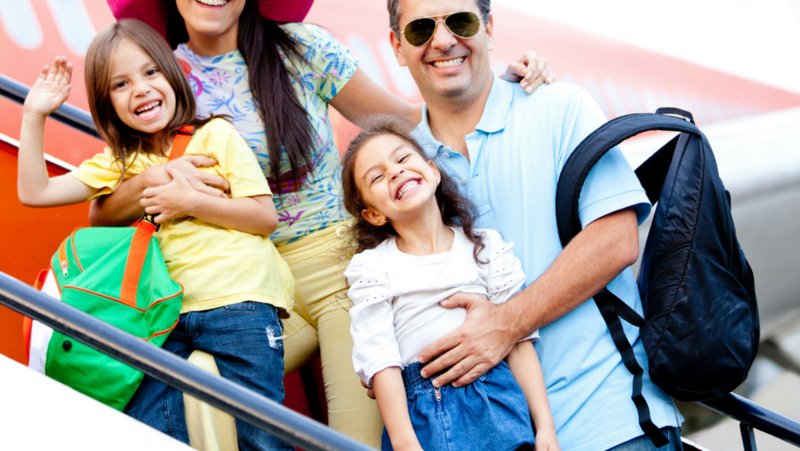 These cheap summer vacations tips are just what you need to really get started on planning a holiday that your family will love. 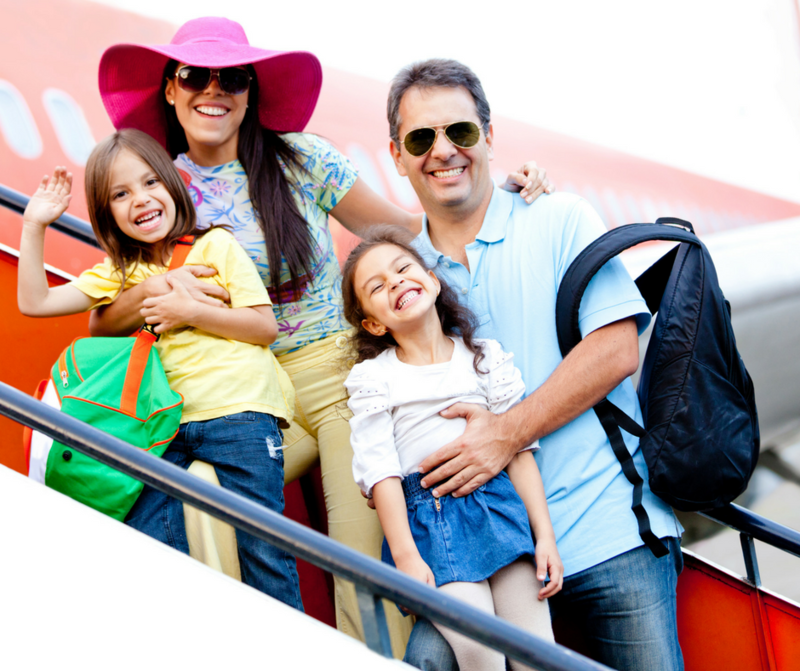 With a few simple tricks, you eliminate the need to avoid your holiday trip, and enable your family to enjoy the luxury vacation they want and deserve! All ways to make a trip a pleasant experience are valid in your post. I like especially the first one: Last Minute Bookings! Great tips. I will be implementing them on our summer travel adventure! Sorry Crystal, I posted the games here…I love your saving money for summer travel tips too! We rent a home if possible cause it does save us money when lots of family are traveling together! Thank you for sharing your tips. Its just me and the husband now that the kids left home. And we still take the cheaper vacations.